Happy new Year to all of you! 2012 was a year filled with many wines, not too many tastings and blind tastings, but certainly enough Epicurian moments to fill a few pages. I certainly have not reported everything, as workload was higher than in previous years, but there are some great moments that are worth being mentioned anew. 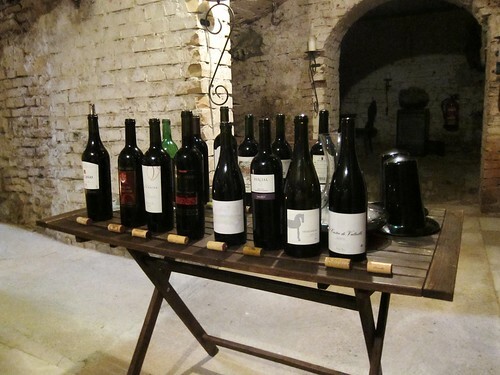 The 2011 vintage brought up a few fine wines. But just a week ago, I’ve been blown away by the magnificent 2011 Pettenthal by Kühling-Gillot, powerful and balanced, with herbs, tobacco and fruit and an incredible length. A must-try Riesling. 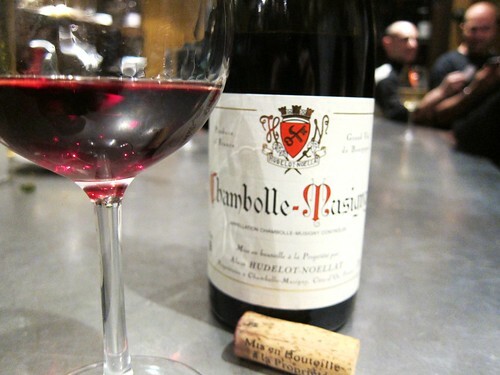 Hitting Saint-Germain with my friend Didier in May and ending up in the Metro with a delicious bottle of Chambolle 2007 by Hudelot-Noellat. We stopped by at L’Avant-Comptoir, La Maison des Vins Surnaturels and La Maison des Vins de Bourgogne. Read it here. 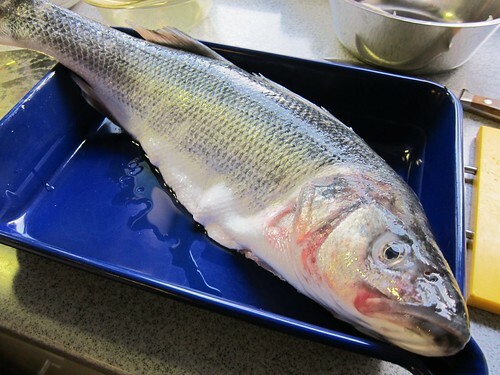 Easter dinner with friends, featuring a magnificent fresh Loup de Mer and a dessert I am very proud of. Full meal here (in German). 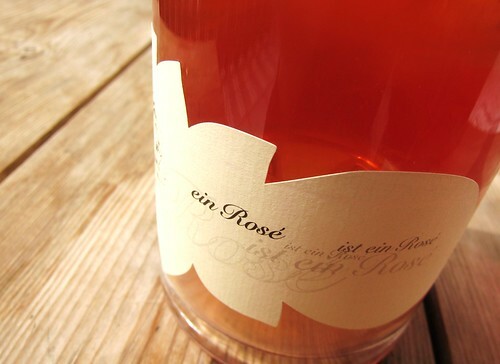 This special edition Rosé named “a rosé is a rosé is a rosé” by Becker which brings together fruit and acidity in a brutal yet delicious way. Read it here (in German). 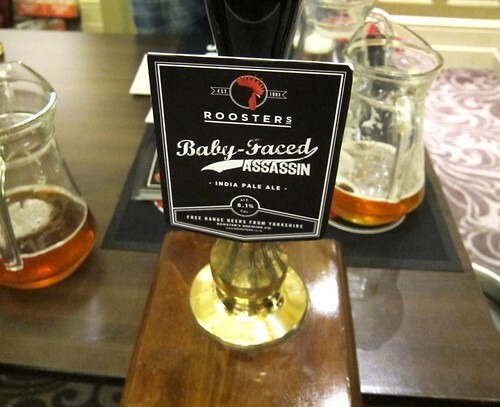 Rooster’s baby faced assassin IPA which I had at the beer blogger’s conference in Leeds. More about it here. 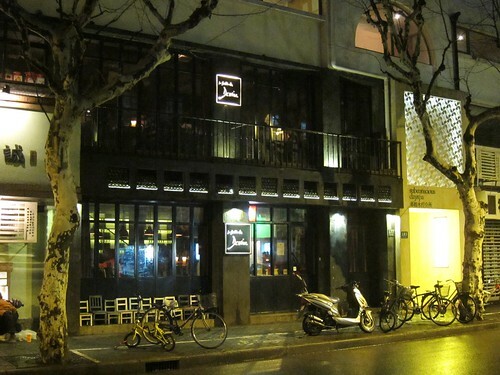 Le Bistro du Dr. Wine. Of course I didn’t check out all wine bars of the city, but this one just happened to be so cosy and with the right buzz, also offering a good range of wines at affordable prices. 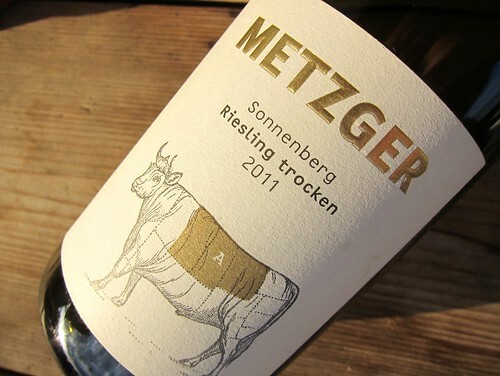 The German winery Metzger classifies its wines by the quality of meat cuts. It makes a lot of sense if you know that the German word “Metzger” actually means butcher. A beautiful idea. More Metzger labels here. 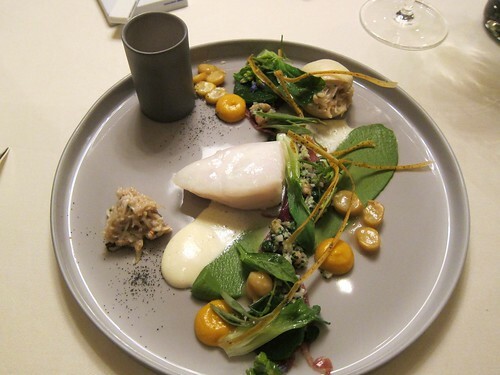 A dinner at 3 star restaurant La Vie in Osnabrück, where chef Thomas Bühner creates some wild dishes with great, pure ingredients. See for yourself. 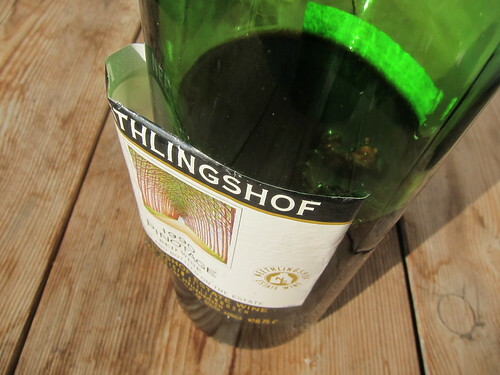 A 1990 Pinotage from South Africa that showed full of fruit and balance, without burned rubber aromatics. You learn everyday. 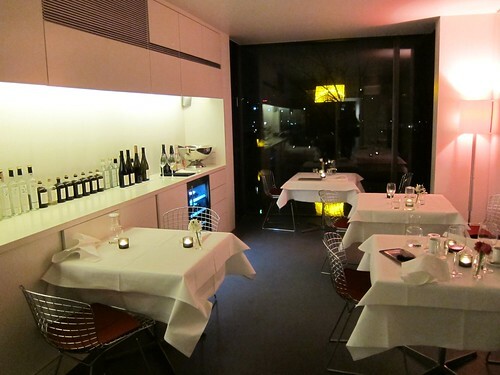 Yes, the best tiny restaurant I’ve visited: Seven Swans in Frankfurt. Newcomer Kimberley Unser cooks up seasonal and creative menus in a restaurant holding 8-10 guests. I want to come back! A tasting of Spanish reds organized by Oskar, not boasting the who is who of Spanish wines but offering a comprehensive tour of the so diverse Spanish wine landscape. Woodland strawberry??? 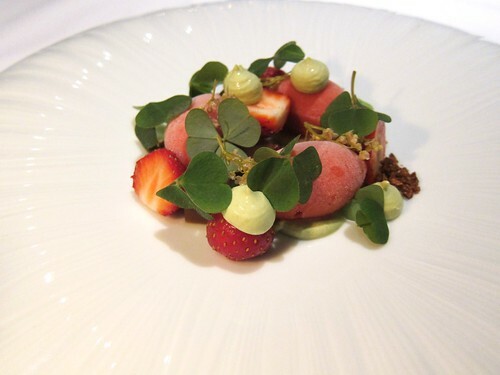 by Matthias Schmidt of Restaurant Villa Merton in Frankfurt. 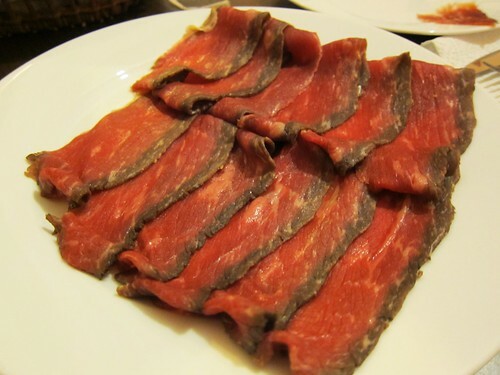 This not only looks like it comes out of a fairy tale, it also tastes damn good, as all other dishes at the restaurant. Again, Matthias Schmidt of Villa Merton. 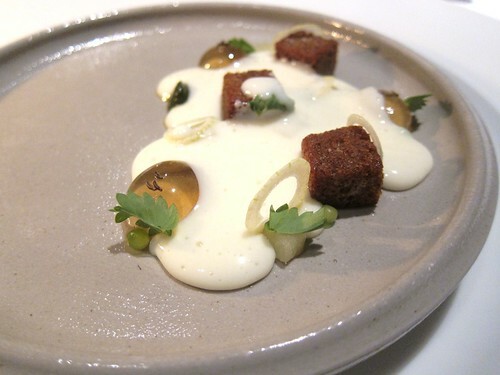 He only uses ingredients from the region, gathers forgotten herbs and creates incredibly original and tasteful plates. And his interpretations of regional classics, such as the hand cheese with music pictured here are just stunning! I had to learn a lesson this year about German Pinots. I was very confident that the best German Spätburgunder could rival their French counterparts. But on several occasions I was shocked by the lack of complexity and the simple burned flavors of these wines compared to a few good Burgundies I was offered. And maybe it is due to the fact that some people poured me the “right” Burgs.. Because the problem there is certainly the variation of quality even with big names. 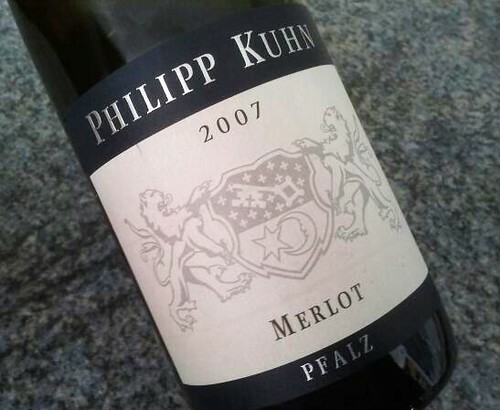 So my German wine of the year is a 2007 Merlot, by reknown producer Kuhn with a wine that could easily rival some of the many St Emilion Grand Crus Classés (Text here, in German). As usual, the Roter Hang (red slope) wine festival caught my heart. Wandering through the vineyards of Nierstein and trying a broad range of what its wineries have made from it just brings the same great pleasure every year! 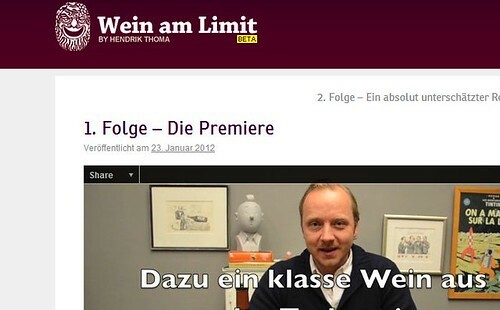 Or “favorite new video wine blog” – and the only one I watch: Hendrik Thoma’s Wein am Limit (in German), which was launched this year and I believe has seen a great success ever since. Keep up your great work Hendrik! That’s it. 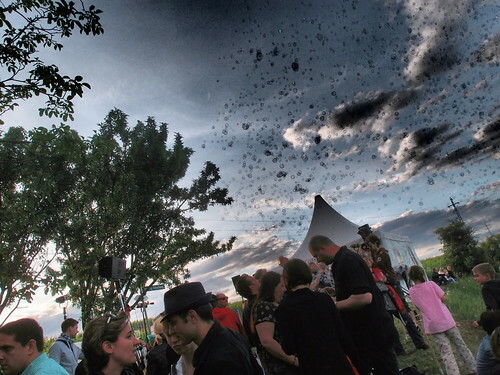 I’d love to see your favorite moments of 2012 from a wine and dine perspective. I hope 2013 will bring equally big moments.